Winter brings cold and flu season, and we’re all doing everything we can to stay healthy and keep the sniffles as far away as possible. Our bodies have incredible natural defenses against harmful germs that may lead to colds, but there are also things we can do to help it out. You can take supplements, but you can also use foods to boost immune system function! And we all know that whole foods are always superior to supplements. The good thing is, you don’t need a lot of special concoctions to keep your family healthy. In fact, you probably already incorporate many of these 10 foods to boost immune system in your diet. Once you know the power of the food you eat, it’s easy to harness and use those foods to boost immune system function to help yourself and your family stay healthy during cold season, and year round. This list of 10 foods to boost immune system function will help you stay on the up-and-up during cold and flu season. If they’re not already in your pantry, all 10 are easy to find at your local farm market or grocery store. We now know that much of our health starts in our gut. When we have the best good bacteria in our gut, our immune system can function optimally. Yogurt is packed with gut-healthy probiotics. If purchasing it from the store, look for plain, high-quality, organic yogurt. And be sure it states that it contains “live active cultures.” Alternatively, it’s actually quite easy to make your own yogurt. Bring on the garlic bread! Garlic packs incredible antibacterial, anti-fungal, and antiviral properties. Garlic is also known to increase your body’s natural killer cells that help us fight off bad bugs. If you can handle the punch, pop raw garlic cloves for the biggest immune boosting effect. But if that’s a bit too much try roasting the cloves to transform their flavor and pull out some natural sweetness. Fermented foods like sauerkraut and kimchi contain more of that good bacteria that helps keep your gut microbiome in balance. It is thought that up to 70% of your immune system resides in your gut! So, it’s important to keep it fed with good bacteria. And, it doesn’t take a bowl-full of fermented foods to get the good effects. Getting in the habit of grabbing a tablespoon or two regularly for a snack or condiment is all you need to keep your gut fueled with good bacteria! We all know that Vitamin C is important in strengthening our immune system to prevent colds, but did you know that bell peppers (particularly red ones) are extremely high in Vitamin C? They’re even higher in Vitamin C than oranges! Bell peppers also contain a very high concentration of antioxidants and Vitamin A, which helps boost your immune system as well. Try making a tasty roasted red pepper spread, using red peppers as pasta sauce, or serving grilled red peppers as a side dish. Here are some other tricks to add extra veggies, including red bell peppers, into your everyday cooking! Ginger has very potent antioxidant and anti-inflammatory properties. Ginger warms the body, which is great for helping your body’s natural defenses against germs. 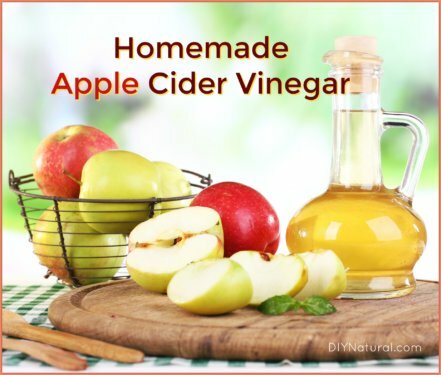 It also helps break down toxins in your organs, making them less susceptible to infection. 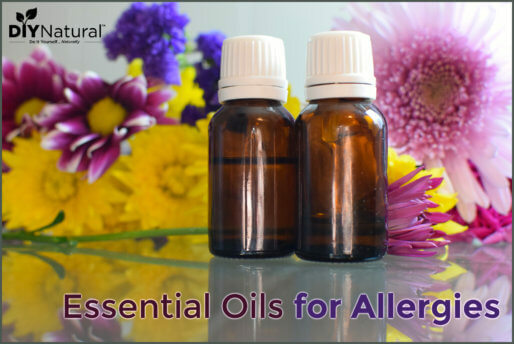 It is also great to help reduce nausea if you do get sick. While fresh ginger is best (I love it in tea), you can also make your own ginger candy, ginger ale, or use it in stir fries. Good quality bone broth is full of vitamins and minerals that are easy to digest and easy for your body to use. It also is high in gelatin (from the bones) which makes it good for your gut health and helps in the absorption of those nutrients. It’s so easy to make your own bone broth. 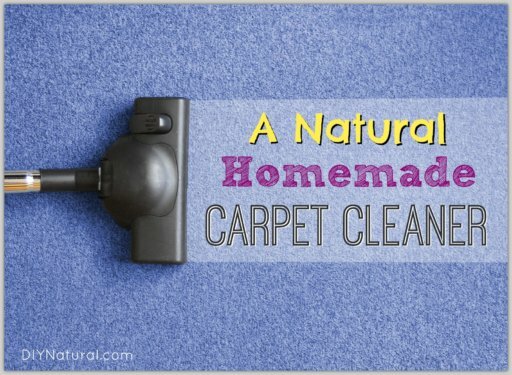 It can even be made from kitchen scraps! Here we are again with another vegetable that is high in vitamins A and C. As a bonus, sweet potatoes are high in beta-carotene and high in antioxidants. Baked, roasted, mashed, or any way you like them, they make a great immune boosting addition to your weekly menu. Try a sweet potato soup or even sweet potato cookies for something different! High in nutrients and particularly good at fighting viral infections, mushrooms have a unique ability to stimulate our natural immune defenses. Whether you boil some mushrooms with garlic and ginger to make a flu fighting broth, or simply add some sautéed mushrooms to your meal (a great addition to orzo), these are a potent immune booster! As a bonus, you can grow your own mushrooms at home! Wild caught salmon is incredibly high in Vitamin D, which is particularly important during the winter months when many of us don’t spend as much time outdoors. In addition, the healthy omega-3 fats in salmon help to reduce inflammation and improve your immune system’s function. Salmon is incredibly easy to cook and goes well with many seasonings. Try a spicy Jamaican jerk salmon, Asian style teriyaki salmon, or light and refreshing lemon rosemary salmon. You may reach for honey once you have a sore throat, but it’s also good to incorporate into your diet pre-illness. Its disease-fighting antioxidants can help boost your immune system. Raw honey also has antibacterial properties that are great for cleaning up your digestive system. Stir raw honey into your tea, use it to sweeten your yogurt, drizzle it over pancakes for a morning treat, or over fruit for a healthy dessert. What I love about all of these foods is that they are so easy to incorporate into our daily routine. Start small by adding one or two of these foods into your diet each week. You can feel good as you sit down to a meal or sip your honey ginger tea, knowing that you’re taking important steps to help strengthen your body’s natural defenses and keep yourself well. 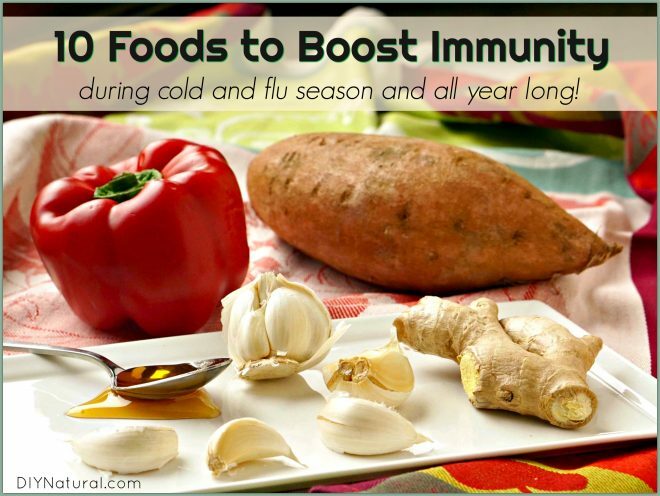 Do you use foods to boost immune system function and stay healthy during the winter months? Share with us! I have several autoimmune diseases due to a water-borne viral infection from bad water. If I boost my immune system too much my virus gets a boost too and then I get sick. You want to be careful about boosting the immune system too much when you’re dealing with immune system issues. Garlic makes my virus flare up because it detects that my virus is under attack from the garlic. Then my virus flares up and I’m going to get sick and end up bedridden.